Welcome to Class Act for Dogs! We are a team of dog trainers with a combined 30 yrs of experience, dedicated to helping owners better understand the dogs they bring into their lives. We feel that obedience is about FREEDOM, not about control.The whole point of teaching our dogs to respond to basic cues is so he or she can go more places with us. Learning should be fun for both the dog and owner. Using the power of positive reinforcement, we create a pleasant learning environment for everyone. 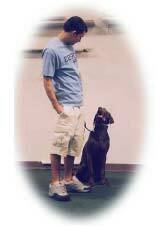 Our goal is to help each person who comes to our school get the results they are looking for with their dog. Dogs need to know how they fit into your family, too. We invite anyone who is looking for help with their dog to come and check us out by watching one of our classes or talking to us over the phone. 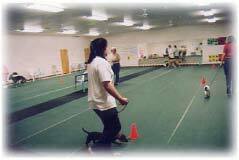 Go to our classes page and see all we have to offer you and your dog.